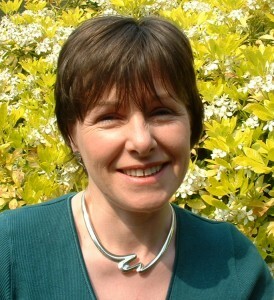 Nutrition and Wellbeing was founded by Sue Lloyd. She continues to lead the organisation as it’s Director. Sue Lloyd BSc, RD, MBA, MPH, FFPH is a public health specialist, registered dietitian, nutritionist and project manager who believes that ‘good food is the foundation of good health and well being’. With two decades of experience in the field of nutrition a senior member of the National Health Service and Adviser to many commerical companies. This has provided her with extensive experience of working with organisations and individuals. A qualified project manager, Sue brings a professional approach to her work. The leading roles she has taken on major projects have earned her a national reputation as a senior public health nutritionist. Sue’s motto is ‘moderation in all things’ although curry, her favourite food, sometimes makes her eat her words. As a Specialist in public health Sue works across the full scope of public health and have considerable experience work both in the public and commerical sector. She has been responsible for leading local and national initiatives and having been one of the first members of staff at the Wales Centre for Health She is very familiar with multi-agency working. Most recently she has used this knowledge to support the Department of Health to undertaken a regulatory review of public health.With extensive experience in public health I am able to fill the gaps in services or departments, add to current competencies, or develop specialist functions. Her particular forte is flexibility in the way that she works while ensuring that activities, programmes and projects are managed effectively and that agreed objectives are delivered. She has extensive experience of working at a senior level; the past ten years have been spent partly but not exclusively influencing and delivering policy and processes in a regional and national arena. In 2006 I set up a consultancy and have worked extensively for the public and private sector since that time. We provide expert training to nutritionists and dietitians who want to learn about nutritional analysis and calculating calories on the menu. Clients include: Unilever, Nestle, Marks and Spencer, Premier Foods, Kellogg, Brake Brothers, ISS, Aramark AllmanHall, Pelican Buying Company, British Heart Foundation and others. South East Coast SHA– Service transformation, nutrition and dieteitc services, across 7 Trusts and PCTs focused on AHP services – packages of care. From 2006 – 2009 Sue undertook similar work to the type described above. A full description can be provided as necessary. Sue provided strategic public health advice and direction on the delivery of policy. With a particular focus on multi-agency working. Design and implementation of a multi-agency Network for Wales active members include healthcare professionals, local authority professionals, and professional educators. In Sue’s role as Associate Director of Innovations in Care, the All Wales Modernisation Agency, she led initiatives to improve quality, innovate, and improve productivity of high / high cost volume services including high demand services including orthopaedics. In Sue’s role as Leadership Development Manager she successfully managed and created a new system for developing leaders within the Allied Health Professions in Wales. In her role as Head of Service Sue was responsible for the delivery of all nutrition and dietetic services to the NHS Trust in the region. Research and development. Examples of work are included under publications. Publications Lloyd, S., Madelin, T., Caraher, M (2009) The school food shed: a report on schools and fast food outlets in Tower Hamlets. UnpublishedLloyd, S., Madelin, T., Caraher, M (2009) Chicken, chips and pizza: fast food outlets in Tower Hamlets. UnpublishedLloyd, S., Lawton, J., Caraher, M., Singh, G., Horsley, K., Mussa, F. (2009) A tale of two localities: Healthy eating on restricted income. Journal of Health Education. Awaiting publication. Caraher, M., Lloyd, S., Lawton, J., Singh, G., Horsley, K., Mussa, F. (2009) A tale of two cities: A study of access to food – lessons for public health practice. Journal of Health Education. Awaiting publication. Lloyd, S., Horsley, K., Lawton, J., Caraher, M., Mussa, F., Peters, J. (2008)A tale of two cities: A study of access and attitudes to food in the Deepdale and Ingol areas of Preston (summary version). Preston: Central Lancashire NHS Primary Care Trust. Hughes, H., Lloyd, S & Southway, P. (1996) Audit of BAPEN guidelines – home enterally fed patients. Proceedings of the Nutrition Society. 55; 3.